The final race of the 2016 Cheltenham Festival is the Johnny Henderson Grand Annual Challenge Cup at 5.30 on Friday. The race is a handicap chase over two miles and has attracted a maximum field of 24 runners. Michael Scudamore saddles Next Sensation who finished fourth in 2014 and won the Grand Annual last year. The race seems to suit his bold front-running style and he was only beaten a length and a quarter behind Savello at Cheltenham two years’ ago. Scudamore plotted a path to the Grand Annual again last season and this time nothing could get to Next Sensation. He ran on strongly to beat Eastlake by four lengths in the hands of Tom Scudamore. His form since has been poor and he arrives at Cheltenham only 1lb higher than last year. The weights are headed by Arthur’s Oak, trained by Venetia Williams and ridden by Liam Treadwell. The eight-year-old has won four of his last five races but a 4lbs penalty takes his weight up to 11st 12lb at Cheltenham. Irish-trained horses dominated proceedings on Thursday and they have a very strong hand on the closing day. Among the fancied runners from the Emerald Isle here are Sizing Codelco and Rock The World. The former ran well behind Shaneshill at Naas in January and the winner ran a fine race at Cheltenham earlier this week. 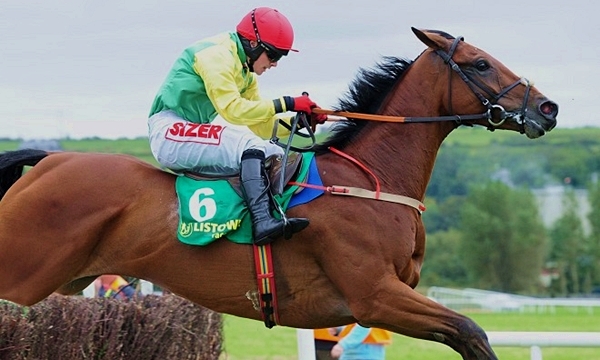 Sizing Codelco could provide Henry De Bromhead with a welcome winner after a frustrating week for the stable. Rock The World represents Jessica Harrington and also boasts some good form in novice company. He beat The Game Changer by two lengths at Galway in the summer so should be suited by the quicker ground. He had little to beat last time out at Cheltenham when making all the running under Barry Geraghty. Velvet Maker also comes into the reckoning having finished behind the Arkle winner Douvan in both of his recent races. He was no match for the Mullins horse on either occasion but had won well at Naas in November. Jockey Davy Russell has already landed a couple of big handicaps at Cheltenham this week and will fancy his chances aboard Dandridge. Arthur Moore’s gelding beat Just Cameron by five lengths on similar ground at Doncaster in January. Surf And Turf runs his best races when fresh and sprang a 33-1 surprise at the Grand National meeting last season. He is higher in the weights but should be suited by trip and ground and could be over-priced at around 50-1.